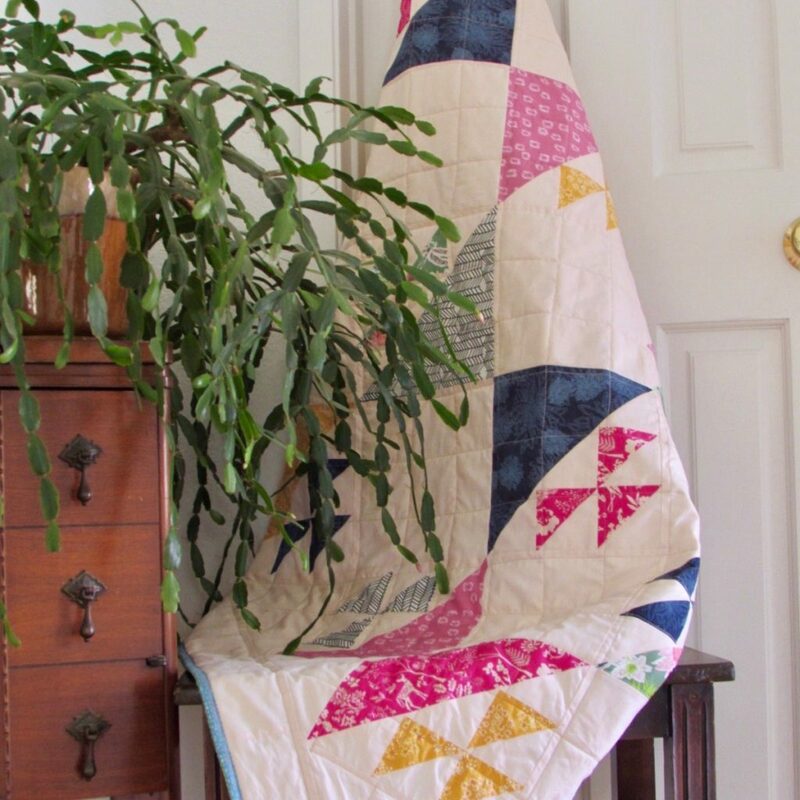 Welcome to the Modern Plus Sampler Quilt Along Parade! We had 12 wonderful finishes so everyone that participated won a prize. Congrats to everyone!! Just as a reminder, you can start the sampler at any time. 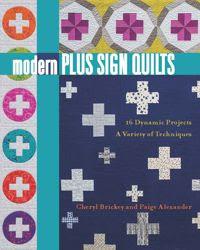 You can find a copy of the book, Modern Plus Sign Quilts on Amazon and a full version of the quilt along instructions (book required) here. 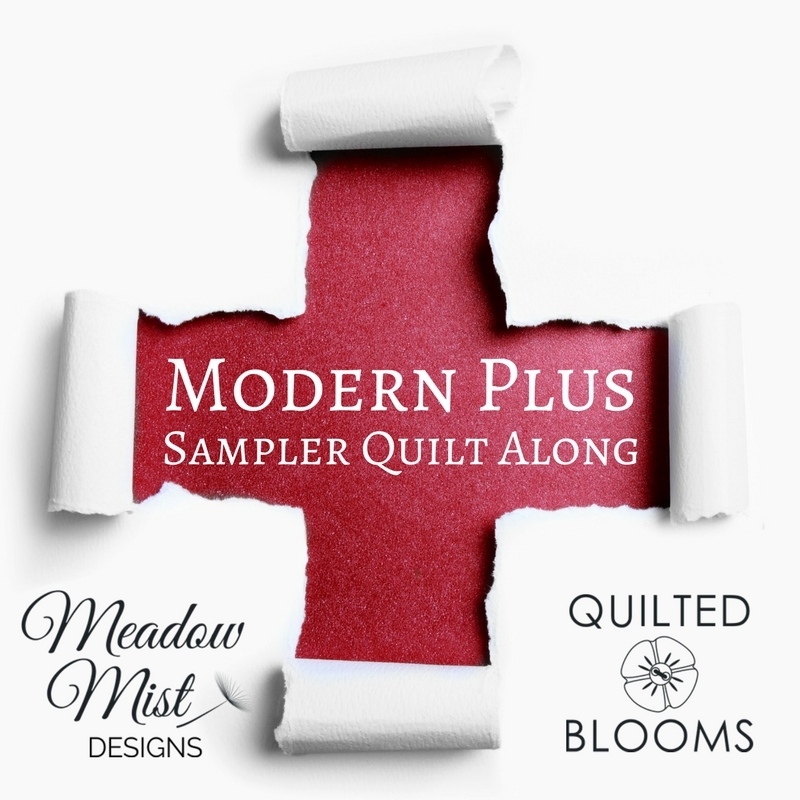 Without further ado...here are the Modern Plus Sampler Mystery Quilt finishes! 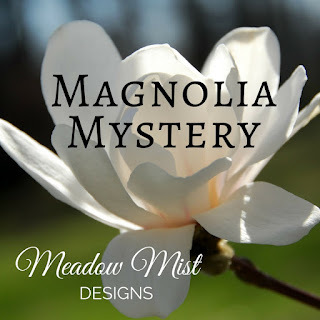 2 digital pdf patterns from Meadow Mist Designs! 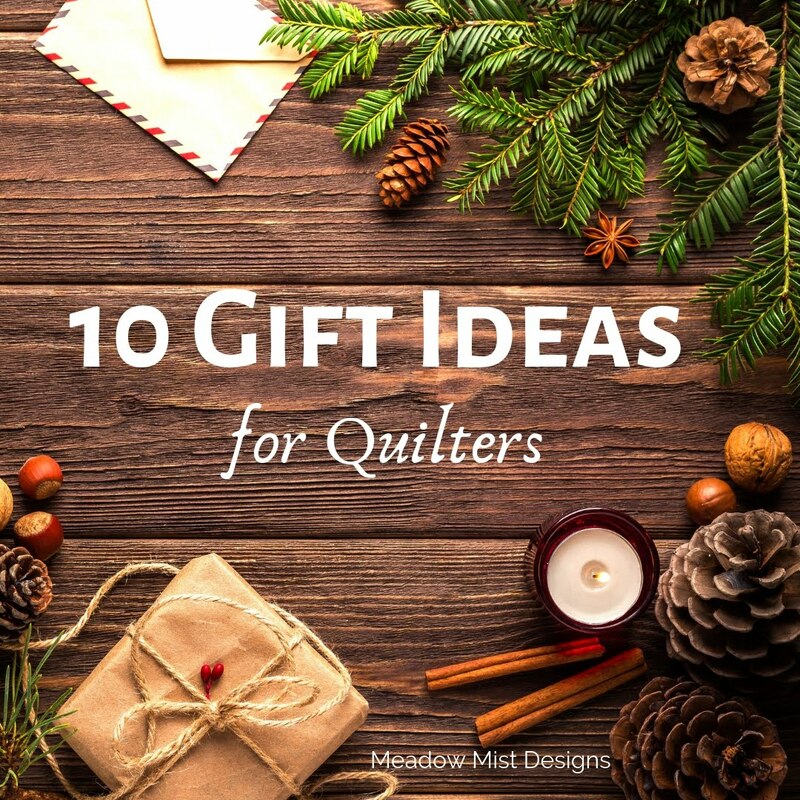 Wendy wins a $100 gift certificate to The Fat Quarter Shop! and three digital quilt patterns from Sew Fresh Quilts! 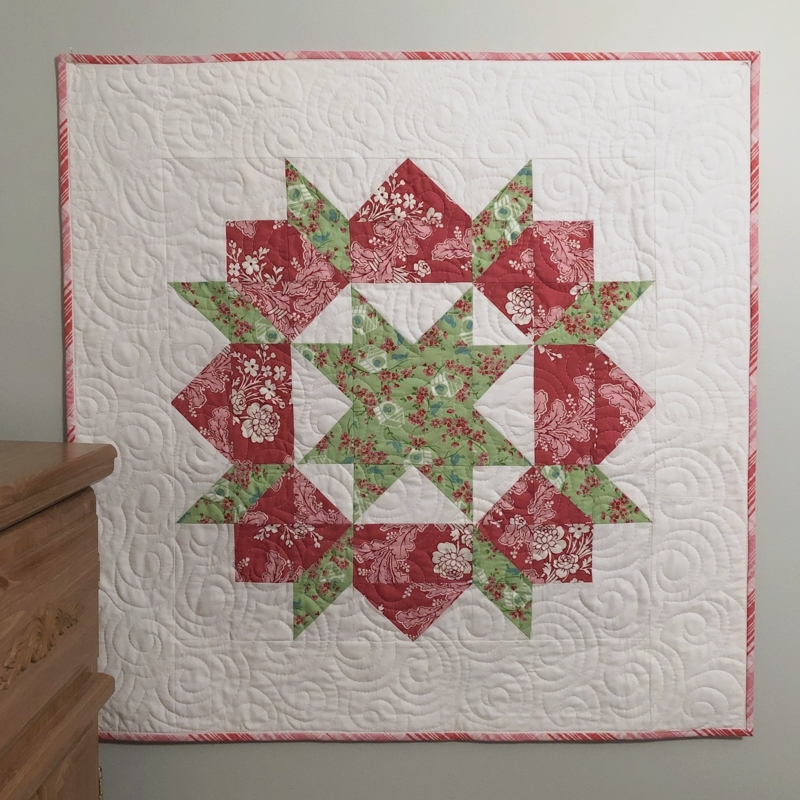 and two digital quilt patterns from Cooking Up Quilts! and the paper pieced Stained Glass Flower set from Whims and Fancies ! 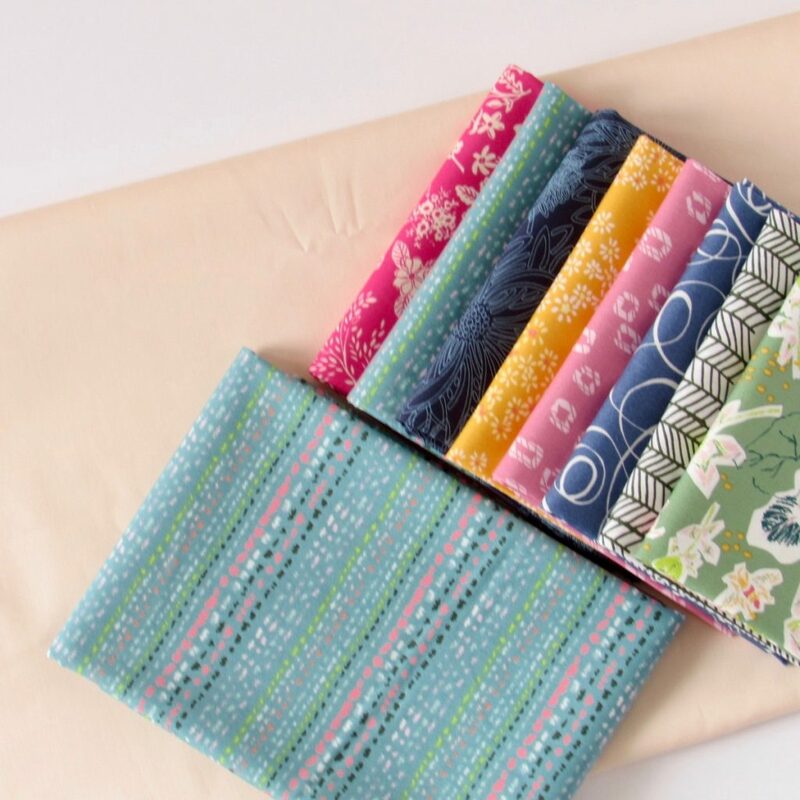 Heide wins a $60 gift certificate to BackSide Fabrics! 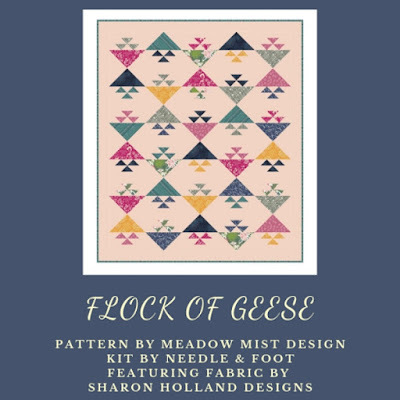 and 2 digital quilt patterns from Meadow Mist Designs! 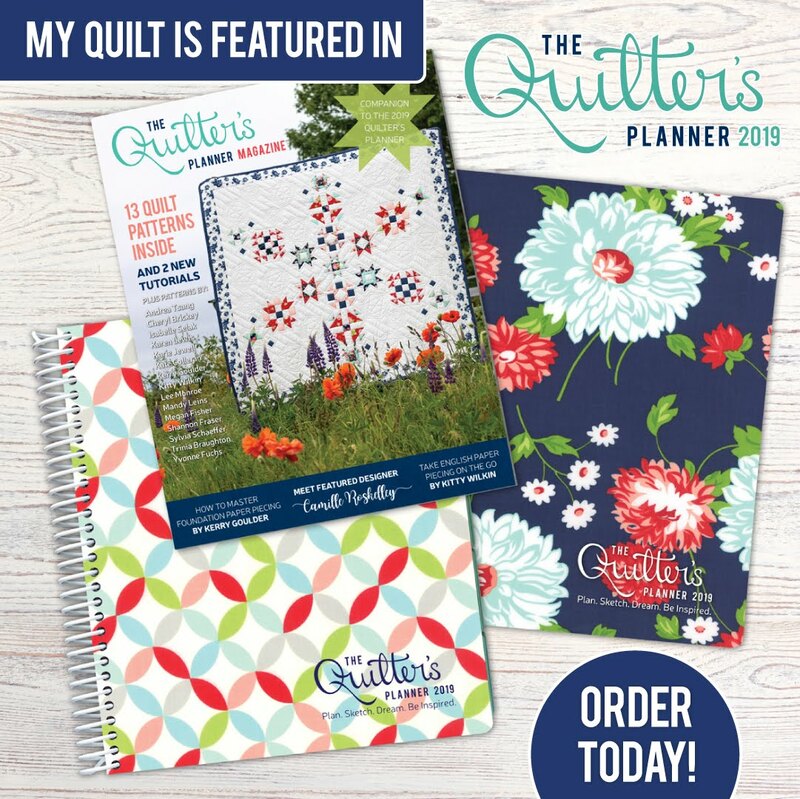 Suzy wins a $25 gift certificate to Busy Hands Quilts! Cheryl wins a $20 gift certificate from Needle & Foot! Ramona wins Kona yardage from Honey, Bunny, and Doll Patterns! 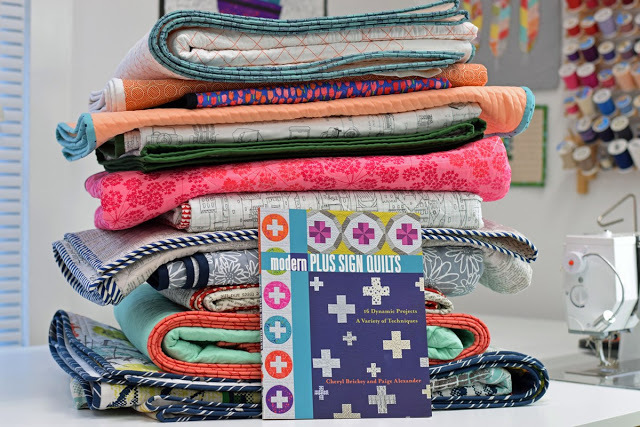 Anja wins a 12 piece large spool collection from Aurifil! using the Fandangle fabric line by Christa Watson for Benartex. 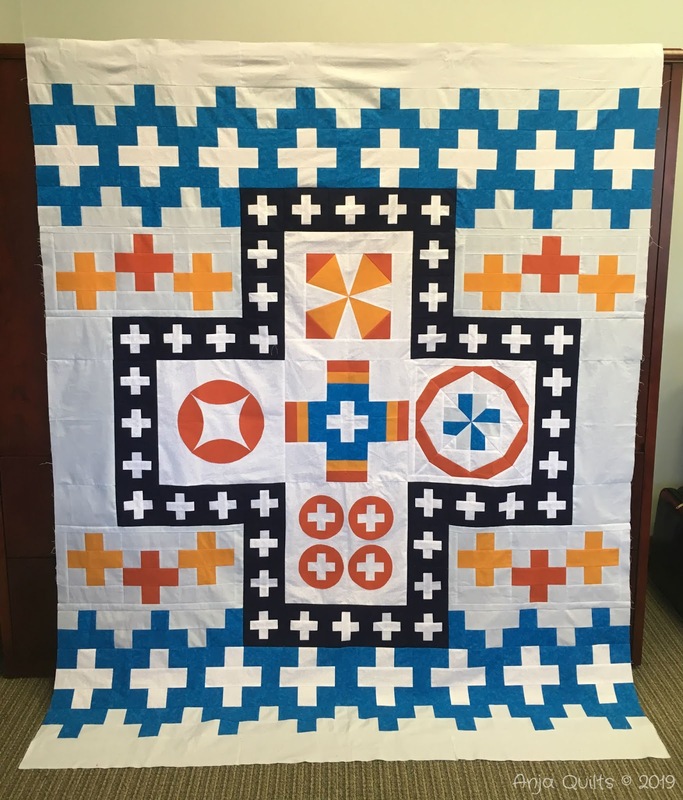 Thanks Christa for letting us create with your fabrics! Once again, many thanks to our generous sponsors!! Welcome to the first Favorite Finish Monthly Linkup! 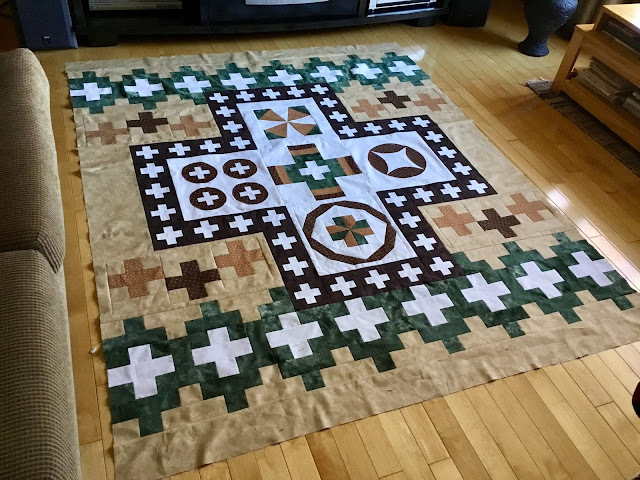 My favorite finish of March is a quick charity finish that I have not even had time to blog about (we just finished getting new carpet in the upstairs so blogging time has been limited). Back many years ago, I made a Swoon block (pattern by Camille Roskelley). I had thought about making a Swoon quilt, but after one block I did not feel like making anymore. This lone block has been hanging out in my sewing room too long so I needed to be finished into something. 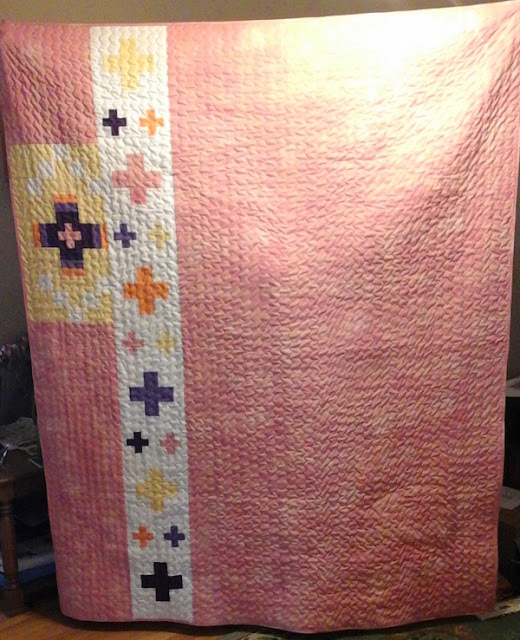 I added 5" (finished) borders to the 24" block to make a nice baby quilt that was the perfect size to use a single width backing. A quick open swirl quilt pattern and some plaid binding finished the quilt. 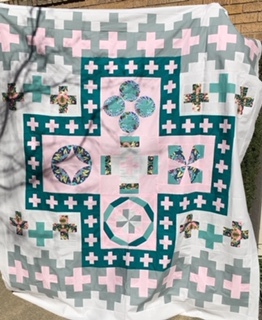 This quilt will be donated to through the Greenville Modern Quilt Guild to the Greenville Hospital System for children when they are taken from their homes by DSS. The linky party will open at 12:01am EST on the last day of the month and will be open for 5 days, through the 4th at 11:59 pm EST. You can link up both blog posts and Instagram posts to the party. 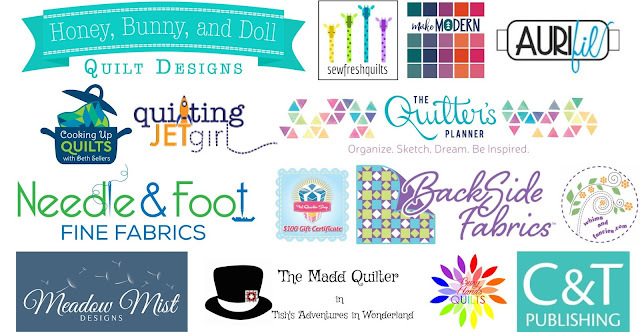 Marci Girl Designs has an excellent tutorial on how to link up a Instagram post to Inlinkz. 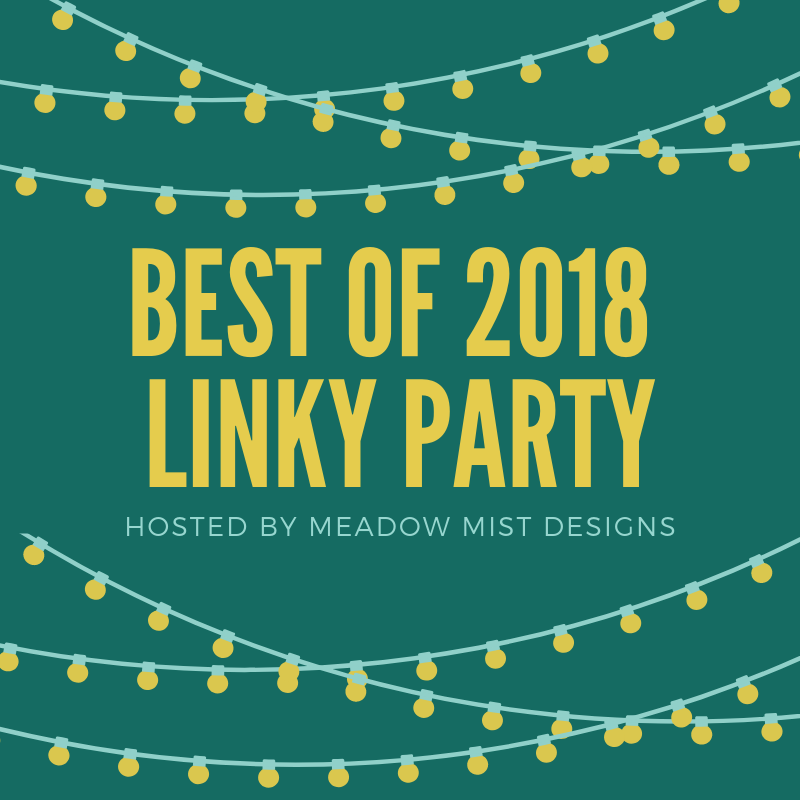 If linking a blog post, I ask that you please add a link back to the party (and the button graphic if you would like). 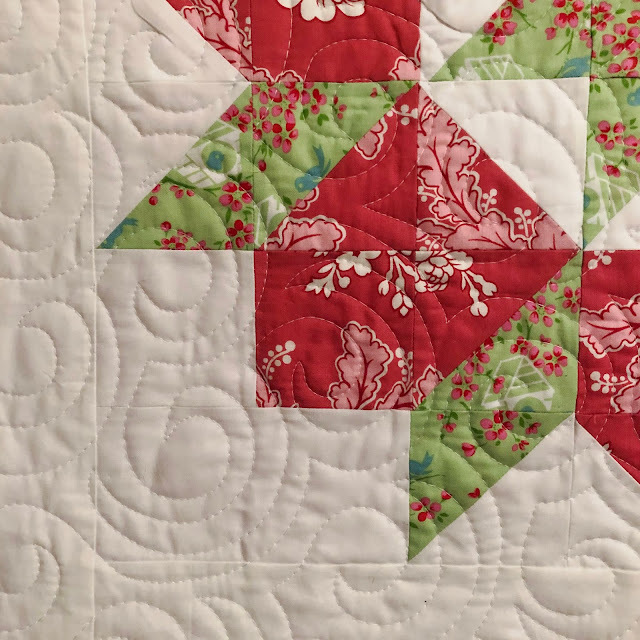 I hope you join in by checking out the posts or linking your favorite finish of the month! I am happy to announce that the Needle and Foot Etsy shop is now carrying Flock of Geese quilt kits (both baby and lap, with and without the pattern) using Sharon Holland and Pure Solids fabrics by Art Gallery Fabrics. Bernie stocks wonderful modern fabrics (a huge selection of Art Gallery!) 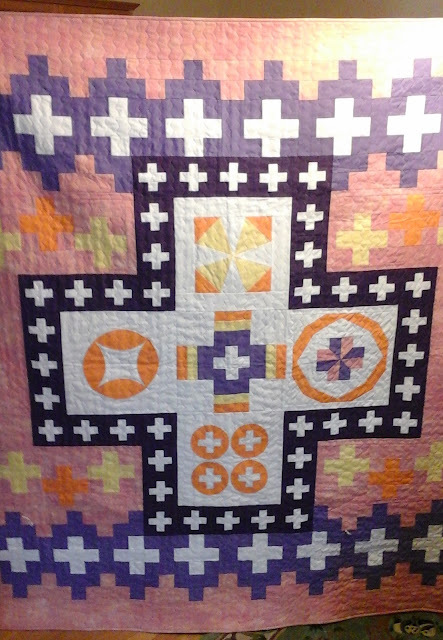 and patterns. 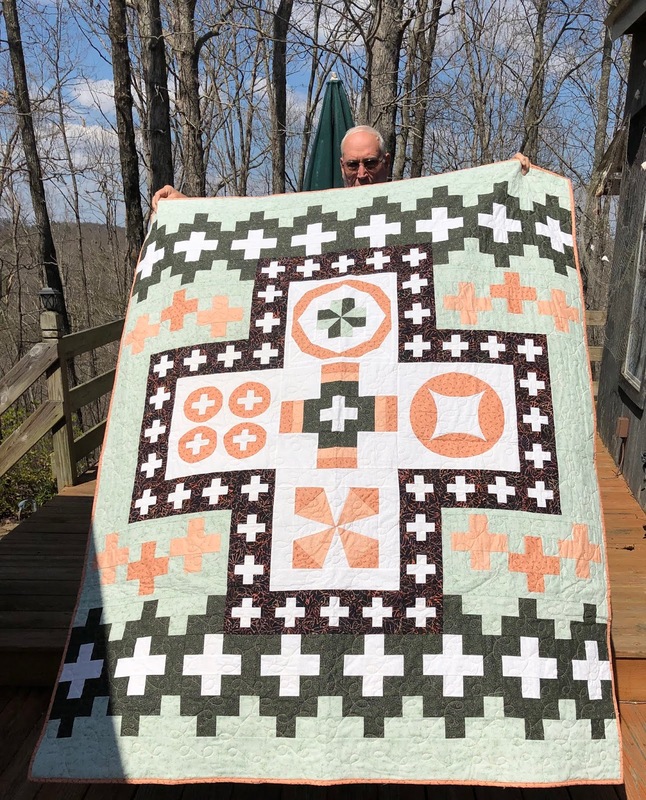 I had such fun working with Bernie to pick out the different prints and colors from her shop. You can find the quilt kits right here. * This post contains some affiliate links. 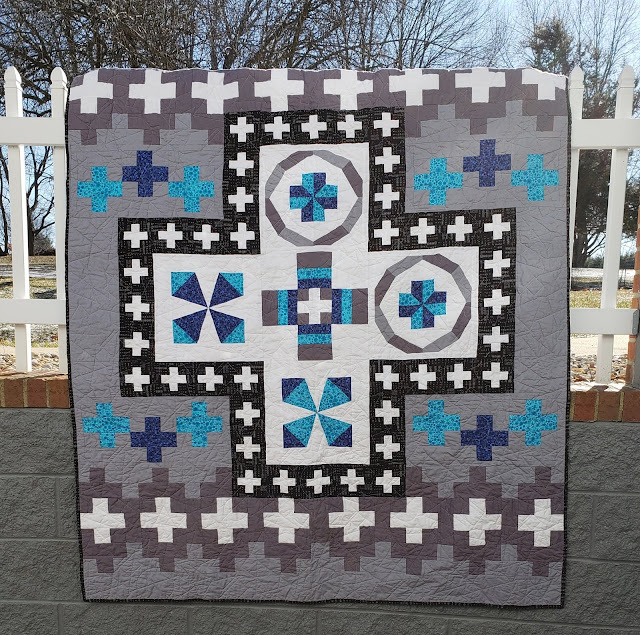 I decided to start a new, monthly linky party that celebrates our favorite quilt finishes for the month! Won't it be fun to have a party where you can see some of the best finishes for that month all in one place? 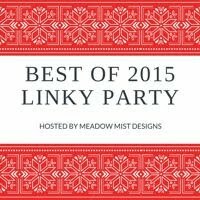 The linky party will open at 12:01am EST on the last day of the month. This month, the party will start on Sunday, March 31st. 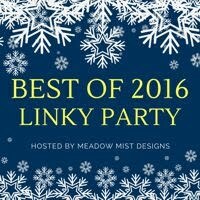 The linky party will be open for 5 days, through the 4th at 11:59 pm EST. Questions? You can leave any questions in the comments below. I can't wait to see your Favorite Finishes for March!! I can't believe that it has been an entire year, I had such fun brainstorming, making the quilts, and writing the book with Paige. 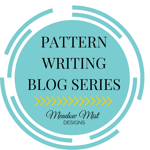 For the release, we held a 40+ blogger blog hop. 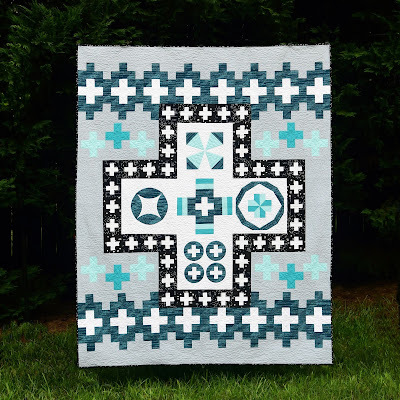 Below are thumbnails and links to each of the quilts from the book and the different versions from the bloggers. The Modern Plus Sampler is wrapping up soon, with a reveal party (with tons of prizes) next month. 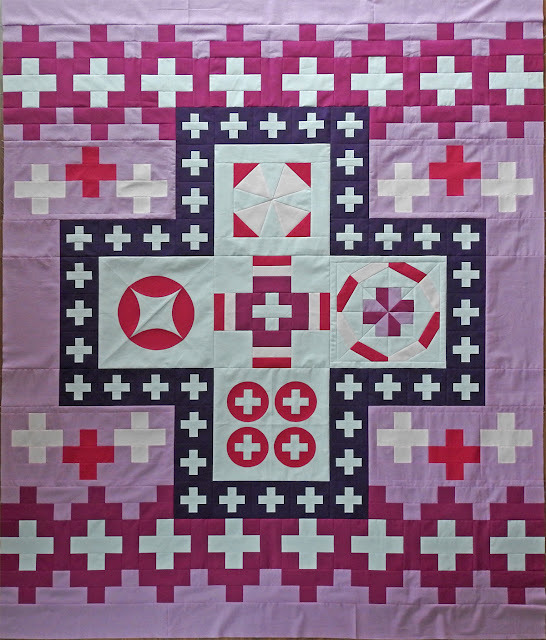 You can find more information and a full pdf of the pattern (book required to make the quilt) right here.